Welcome to Castlewood Canyon State Park established in 1964. Located in eastern Douglas County, the park is well known for it's rock climbing opportunities. 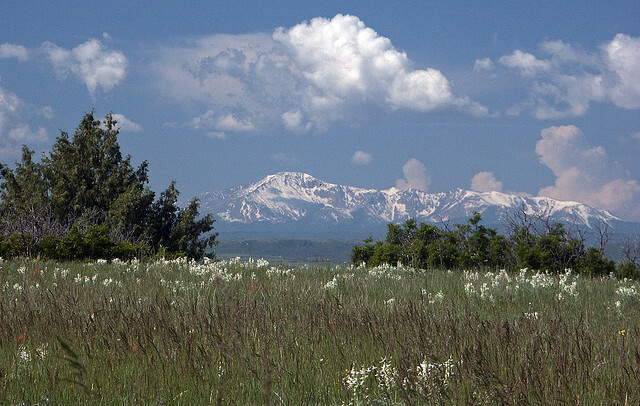 Park History: Castlewood Canyon State Park has a long and unique history dating back over 60 million years ago when the land was once a lush tropical rainforest. Over millions of years, the rise of the mountains, the eruptions of volcanos, and the flowing of rivers and flash floods helped change that rainforest into the landscape that Castlewood Canyon is today. We know these facts based on the patterns in the canyon's rocks. The Canyon itself is relatively young, only about 100,000 years old, but still has it's roots before the arrival of Native Americans. The first humans to inhabit this region were Native American tribes dating back over 5,000 years ago. The groups beginning around 2,000 years ago were hunter-gatherers of about 15-20 people per group, who took shelter in the region's caves. In more recent times, the Arapaho, Ute, Pawnee and Cheyenne tribes set up winter camps in the region. In the 1860's, logging and gold mining brought the first white settlers into the region and they named it Wildcat Canyon. Many farms and ranches were also established and in 1890 the Castlewood Canyon Dam was completed. In 1961, the first 87 acres of Castlewood Canyon State Park were donated to the State of Colorado by a man named Lawrence Brown. Over the years additional purchases were made bringing the park to it's present size of over 2,300 acres. 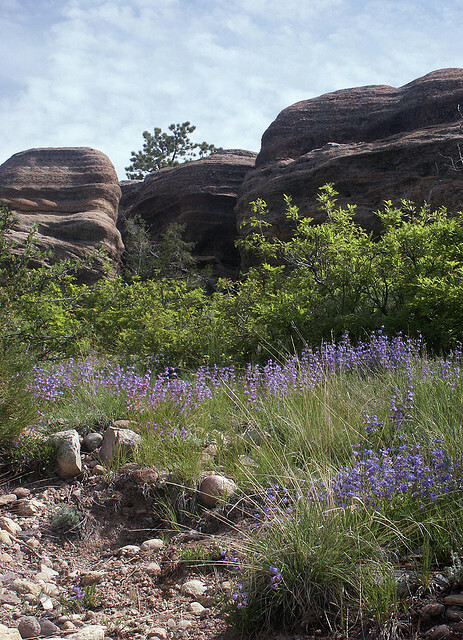 Flora and Fauna: Castlewood Canyon State Park helps protect the home of numerous plant and animals species. Some of the plants that grow inside the boundaries include ponderosa pines, mountain mahogany's, New Mexico Cliff Ferns, and many others. Some of the wild animals who call this place home include porcupines, rabbits, coyotes, deer, squirrels, foxes, mountain lions, and bears. Please treat their home with respect. For the lover of the outdoors Castlewood Canyon State Park boasts over 12 miles of trails, climbing walls of all skill levels, and so much more. Come on out and explore! To contact the office please call 303-688-5242. This was RecPlanet place of the day on August 29, 2016.